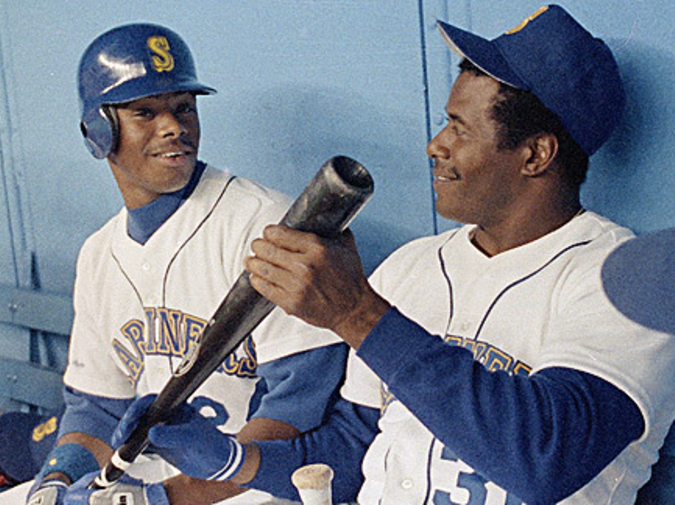 On 14 September 1990, Ken Griffey Sr. hit a home run, and Ken Griffey Jr., the very next batter, also hit a home run, making them the only father–son combo in Major League Baseball history to hit back-to-back home runs in the same game. On 3 October 1990, Cecil Fielder hit his 50th home run of the season, and on 25 September 2007, Prince Fielder hit his 50th home run of the season, making them the only father–son combo in Major League Baseball history to belong to the prestigious 50-home-run club. On 24 September 1981, Bobby Bonds hit the 332nd and final home run of his career, and on 29 Apri 2004, Barry Bonds hit the 668th home run of his career, making them the only father–son combo in Major League Baseball history to hit a combined 1000 home runs. On 1 December 2012, my son and I had a catch on the driveway, throwing and catching a baseball thirteen consecutive times without it touching the ground even once. Evan Lavender-Smith is the author of From Old Notebooks and Avatar. His recent writing can be found in BOMB, The White Review, Eleven Eleven, The Collagist, The Toast and The Good Men Project, as well as at his website, www.el-s.net.